SofGrip Handle. Santoku knives are the Japanese version of the chef knife and they can be used for the majority of kitchen tasks. 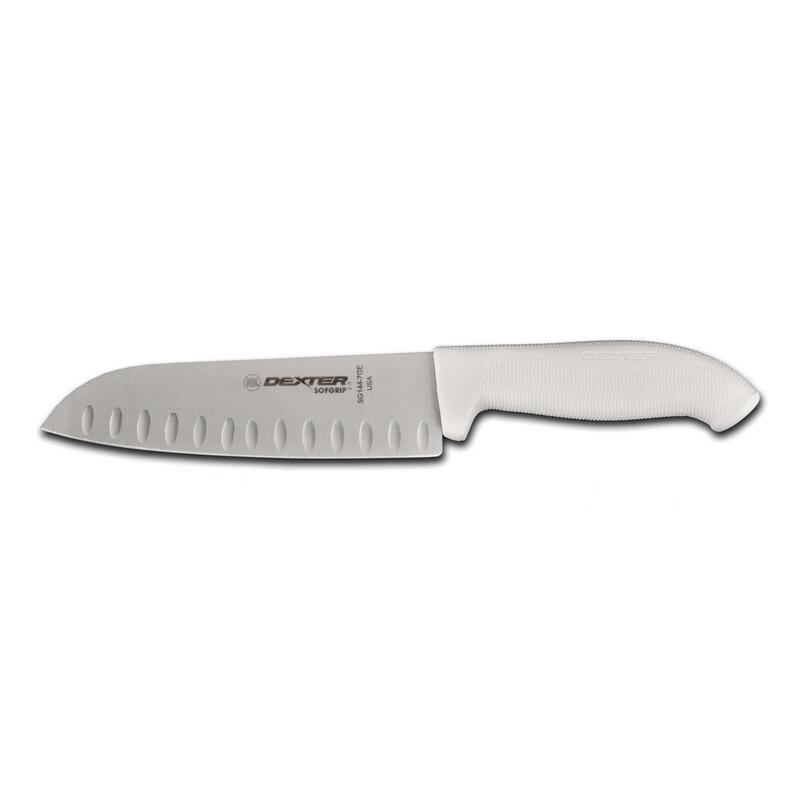 Santoku refers to the three tasks that the knife excels at, slicing, dicing, and mincing. The top edge of the blade aligns with the top of the handle for perfect balance. Santoku blades are shorter, lighter, thinner, and stronger than traditional chef knives. A western chef knife generally slices downward and then rocks the tip forward to complete a cut but the santoku relies more on a single downward cut and even landing from the heel to the tip. This creates less of a rocking motion and more of a straight motion.